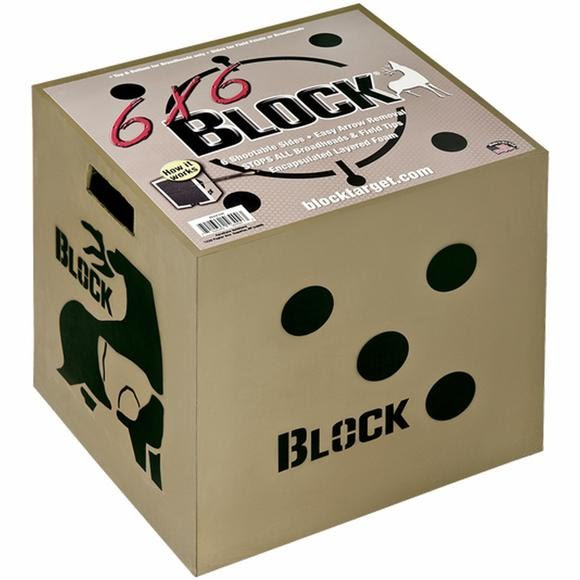 The BLOCK 6x6 target offers the only 6-sided target in the BLOCK line, for extended target life and varied shooting positions, suitable for use with all field points and broadheads, poly fusion layered technology secures the layers to the interior wall creating a longer lasting target with easy arrow removal. The world&apos;s number one archery target brand, BLOCK targets feature a patented open-layered design that stops arrows with friction, rather than force. PolyFusion™ Technology results in longer target life. The layers inside each BLOCK target are uniformly fused together, and arrows find their way between layers. Fusing the internal layers to the inner target wall results in more uniform layer compression, which in turn, means easier arrow removal, leading less shooter fatigue and better practice. A FeraDyne Outdoors brand, the BLOCK targets are proudly manufactured in the U.S.A..
Measurements 18" x 18" x 16"